Submitted by Vivienne Morrell on Friday, February 19th, 2016 at 8:24 am. Submitted by Vivienne Morrell on Sunday, January 31st, 2016 at 5:34 pm. Submitted by Vivienne Morrell on Thursday, March 12th, 2015 at 5:11 pm. Historic Places Wellington also has its own website. There you will find more about what we do, you can download copies of our newsletters and join or contact us. Submitted by mark on Friday, February 28th, 2014 at 9:11 pm. Submitted by mark on Monday, January 6th, 2014 at 5:19 pm. 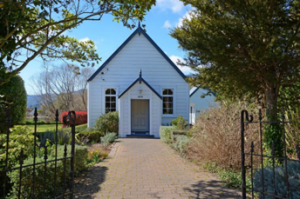 Wallaceville Church – Heritage at Risk? Submitted by mark on Monday, January 6th, 2014 at 5:06 pm. Submitted by mark on Monday, January 6th, 2014 at 4:44 pm. 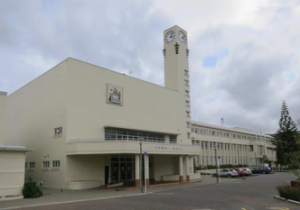 "We have been aware that the Hutt City Council were considering options for the buildings because of earthquake strengthening requirements but it was nevertheless a shock to learn of the Council’s decision taken soon after the elections to demolish the Town Hall and Horticultural Hall and replace these important architectural statements with a modern building." Submitted by mark on Monday, January 6th, 2014 at 8:49 am.